Rita M. Hollon, 78, of Franklin Township, died Thursday, October 25, 2018, at Hillspring of Springboro. She was born in Wolfe County, Kentucky on April 29, 1940 to parents Charles and Rose (Carroll) Kincaid. 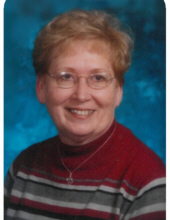 Rita had worked as a Medical Records supervisor for Middletown Regional Hospital. She was a member of Christian Enterprise Baptist Church. Mrs. Hollon is survived by her daughter, Kathryn (Tim) Simpson; five grandchildren, Adam Patrick, Amber Patrick, Jacob Simpson, Austin Patrick & Caleb Simpson; two great grandchildren, Adalynn Patrick & Myles Patrick; special friend, Rick Johnson; as well as many other loving family & friends. She was preceded in death by her husband, Albert “Millard” Hollon; son, Michael Hollon; parents; brothers, Linville Kincaid, Freddie Kincaid & JD Kincaid; and sister, Maxine Cable. The family wishes to extend special thanks to Hospice of Dayton for their wonderful care. Funeral Service will be held Tuesday, October 30, 2018 at 10:00 am at Wilson-Schramm-Spaulding Funeral Home, 3805 Roosevelt Blvd., Middletown with Reverend James Anderson officiating. Visitation will be Monday evening from 5:00 - 7:00 pm. Interment will be at Woodside Cemetery. Memorial donations may be made to Christian Enterprise Baptist, 405 Gideon Rd., Middletown, Ohio 45042. To send flowers or a remembrance gift to the family of Rita M. Hollon, please visit our Tribute Store. "Email Address" would like to share the life celebration of Rita M. Hollon. Click on the "link" to go to share a favorite memory or leave a condolence message for the family.